The statement comes a day after US Secretary of State Mike Pompeo met Pakistan's new Prime Minister Imran Khan and pressed him to take "sustained and decisive measures" against terrorists threatening the regional peace and stability. 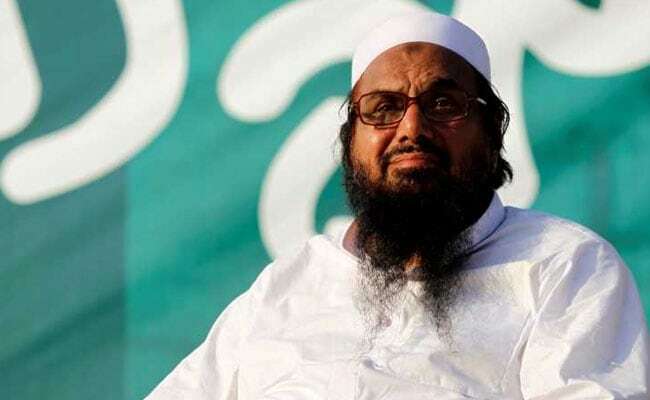 America shares India's concern that Pakistan continues to allow Mumbai attack mastermind Hafiz Saeed roam free despite the reward the US has placed on his head for his role in terror activities, a senior State Department official said Thursday. This was the US' first high-level dialogue with Pakistan since the new government of Prime Minister Khan assumed office after the July 25 elections and comes days after the US cancelled $300 million in military aid to Islamabad for not doing enough against terror groups active on its soil. Talking to the media persons travelling with Mr Pompeo in New Delhi, the official, who chose not to be identified, said: "We've worked closely with India over the last year to have both a counter-terrorism dialogue as well as a dialogue on designations". The official said that counter-terrorism is obviously another shared interest with India. "We're coming up on the 10th anniversary of the Mumbai bombing. "Obviously, we share India's concern that Pakistan continues to allow Hafiz Saeed, the mastermind of the Mumbai bombing, free, at-large, despite the reward that's on his head and despite his very known role in helping to facilitate that attack," the official said. Asked about his concern over the presence of terrorists on the Pakistani side, the official said that America shares India's concerns over cross-border infiltrations and violence. "I'm confident that there'll be a conversation on counter-terrorism cooperation, and we share India's concerns over cross-border infiltrations and violence. "With respect to Indo-Pak relations, we welcome efforts by both countries to speak with one another and to engage one another," the official said. The official said that there has been a Director General of Military Operations channel that has been used over the last several months. "We saw a commitment by the countries, I believe in early June, a commitment by Pakistan to reduce levels of violence along the Line of Control. I think there's been a reduction in the historic levels, but it's certainly not the level of reduction that we need to see. "I can't comment on the Secretary's meetings yesterday, but as an ongoing element of our conversation with Pakistan is the need to end all support for terrorist proxies whether on the eastern border or the western border," the senior State Department official said. The Jammat-ud-Dawah (JuD), led by Saeed, was declared as a foreign terrorist organisation by the US in June 2014. Saeed also carries a $10 million American bounty on his head for his role in terror activities. The JuD is a front for the Lashkar-e- Taiba (LeT) terror group that carried out the deadly 2008 Mumbai attack. India has repeatedly asked Pakistan to re-investigate the Mumbai terror attack case and also demanded trial of Saeed and LeT operations commander Zakiur Rehman Lakhvi in the light of evidence it had provided to Islamabad. Ten LeT terrorists killed 166 people, including American nationals, and wounded dozens in Mumbai in November 2008. Nine of the attackers were killed by police, while lone survivor Ajmal Kasab was caught and executed after a court found him guilty and handed down death sentence.